In the first half of her legal education, Eshigo Okasili worked full time, attended law school part-time and volunteered with African-American Family Services and Legal Aid (both in Minneapolis, Minnesota). In the second half of her legal education, she attended law school full-time, worked part-time and volunteered as a student attorney (under the supervision of licensed attorneys). Eshigo had her first two children while she was a law student and graduated from William Mitchell College of Law in St. Paul, MN in 2003. After her graduation, Eshigo devoted her time to raising her young children and assisting her husband with his real estate business. She had her third and youngest child in 2006. Eshigo was admitted to Maryland Court of Appeals in June 2009. 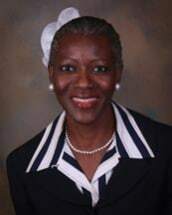 In September 2009, she founded Law Office of Eshigo P. Okasili, LLC and immediately began to serve her community through Montgomery County Bar Foundation's Pro Bono Program. Her practice focuses primarily on Family Law (i.e. separation agreements, limited divorce, absolute divorce, annulment, child custody, child support, equitable distribution of marital property and spousal support/alimony). In addition, she provides legal services to her clients in the areas of Immigration Law, Personal Injury, Education Law and Criminal Law, from time to time. Eshigo has a client-centered practice and serves her clients by advising them of the options available to them, setting realistic expectations for them, working hard to settle matters out of court when appropriate, litigating them only when it is the most viable option, while demonstrating cultural competence and empathy towards all of her clients. Eshigo is trained as a Child Counsel and serves as a court-appointed guardian ad litem (unique legal guardian or advocate for persons with diminished mental capacity) in Child In Need of Assistance (CINA) matters. In addition, she is trained as a Civil and Divorce mediator and as a Family and Civil Collaborative Practitioner. Eshigo is fluent in French and serves a racially and culturally diverse clientele. She serves her community in various capacities and is an active PTSA member at her children's schools. She is a wife and mother of two teenagers and an eleven-year old. Besides her legal training, Eshigo affords her clients the benefits of her common sense, creative problem-solving skills and her life experiences. In her spare time, Eshigo loves establishing family traditions and shooting hoops with her family. She also enjoys reading, traveling and photography.